It was 1900 when forty-four young scholars gathered to form the first classes at St. Thomas College. 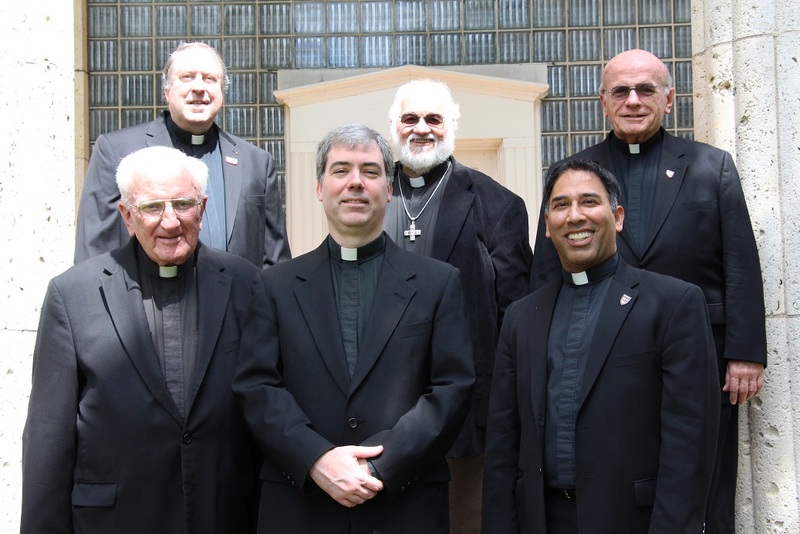 The faculty of that school, located in downtown Houston, were three priests of the Basilian Fathers led by the school’s founder and first Principal, Rev. Nicholas Roche, CSB. In 1929, Rev. T. P. O’Rourke, CSB, a native Texan, determined the future of the school by negotiating the purchase of a tract of land on the banks of Buffalo Bayou at Memorial Drive and Shepherd Drive, then the western outskirts of Houston. In 1940, St. Thomas moved from downtown to the new campus and a new school building. As our community has grown through the years, other buildings and structures have been added to our campus. St. Thomas is conducted by the priests of the Congregation of St. Basil. They are an international community of religious priests who live a communal life and bind themselves to God by vows of poverty, chastity and obedience. They dedicate themselves to the service of the Church in any priestly ministry but have centered their apostolic work on the education of youth since 1822. The Congregation was originally founded in Annonay, France after the French Revolution. The Basilian Fathers’ special patron is St. Basil the Great, a fourth-century Archbishop of Caesarea, Instructor of Youth, and Doctor of the Universal Church. The Basilian Fathers first came to North America in 1850 and established a school in Toronto, Canada in 1852. From this center, the Basilian Fathers established schools, colleges, missions and parishes across Canada, the United States, Mexico and Columbia. For its first forty years, St. Thomas High School’s name was St. Thomas College. Later, when the school moved to the current campus and with the Basilian Fathers parenting the University of St. Thomas a few miles away, they officially changed the name of the school to “St. Thomas High School.” Today, St. Thomas is the oldest college preparatory high school for young men in the State of Texas. Back Row: Fr. Bob Glass, CSB; Fr. Mitchell Dowalgo, CSB; Fr. Ronald Schwenzer, CSB. ; Front Row: Fr. Albert Gaelens, CSB; Fr. James Murphy, CSB; Fr. Kevin Storey, CSB, President of St. Thomas High School.